East London-based BIGUMAKU is making the most of this new landscape. The mobile app company was spun out of kids’ gaming outfit Minilab Studios earlier this year by Chief Executive Alex Spiro and Creative Director James Wilson, with the aim of creating more complex ideas generated by its team of developers. 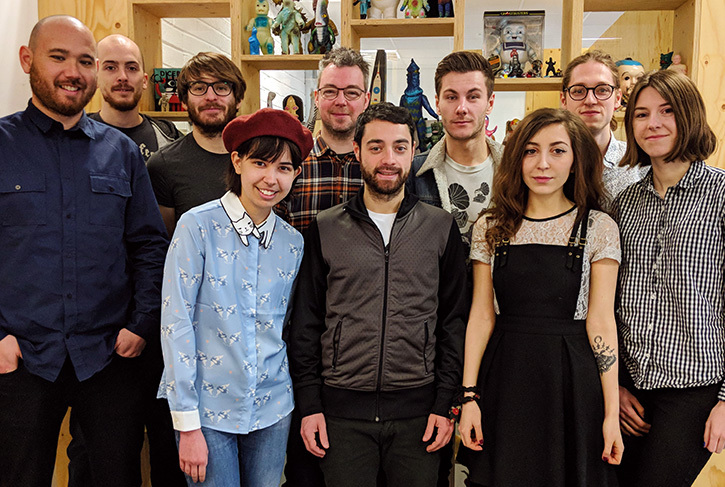 “Some of our developers come from a core gaming background and really want to use their skills to work on mobile apps,” explains BIGUMAKU’s head of production Scott Cameron, who has himself worked for outfits such as EA and Rockstar, as well as smaller indie developers. 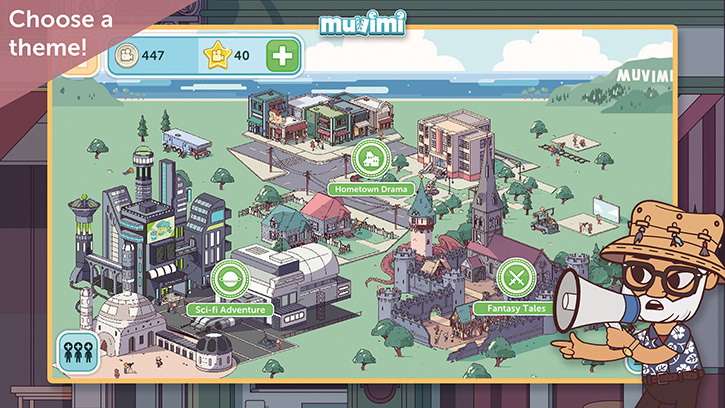 BIGUMAKU’s first offering, released this June, is Muvimi, a mobile animation studio app for iOS that lets its users devise their own cartoon movies and avatars, which they can share across social media. The end result allows users to create a range of different genres, and while the company doesn’t track what its users do with their finished masterpieces, it does run competitions and encourages creators to use a hashtag so it can, with permission, share their films on social media. “Quite a few are taking to YouTube to show their exported video clips – which is really awesome,” du Plessis adds. 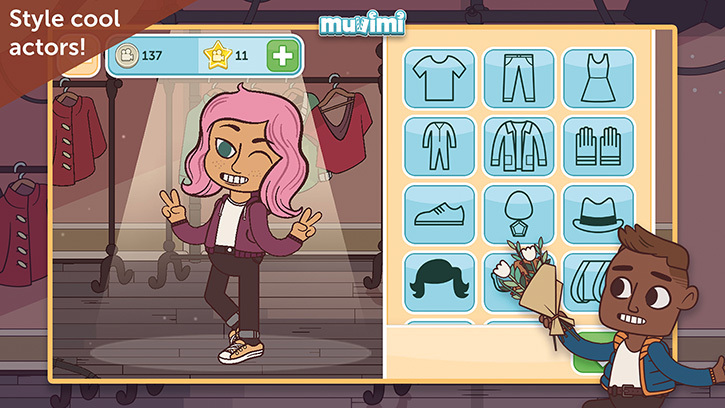 The app is free at the point of download, but the privately-financed company aims to make the majority of its money from in-app advertising and in-app purchases of set, prop and clothing items, varying in price from 99p to £20, which users can buy with an in-app currency called MuviStars. In the couple of months since its launch, Muvimi has amassed 50,000 downloads with the app appearing in ten different languages. “We’re not KPI-driven but we do look at downloads as well as how engaged users are. The main metric is the ratings score on the Store – which is rating as a 4.5 so far,” Cameron enthuses. So does the firm hold any ambitions to follow the path of Bitmoji, the avatar app now integrated into Snapchat? “That’s an interesting route,” notes Cameron, “although it’s not our overall aim – we just wanted to create something beautiful and creative for people who wanted a simple way to create short movies.” The firm does have a new production in development with a third party tie-in, however, and is also looking at properties relating to its comic and graphic novel parent, Nobrow, publishers of the Flying Eye canon of children’s titles. With gaming hits such as Pokémon Go reigniting users that might have otherwise moved away from mobile gaming, what does Cameron predict we can expect over the next five years? “As far as developers go I think there will be a lot more back and forth between working on mobile and working on console games – the engines are now the same, you can change where you want to be if you have the skills. The beauty of mobile is that it allows you to achieve more projects in shorter time. I think we’ll see more cross-pollination between exclusive console games and games designed for mobile,” he concludes.